Students have been warned over the dangers of ‘smart drugs’. Students in the North-east are being warned not to gamble with their health by abusing prescription drugs for a term time boost. A Medicines and Healthcare products Regulatory Agency (MHRA) survey revealed more students than ever are taking the so called ‘smart drugs’ Modafinil and Ritalin. An estimated 14% of students are expected to buy the drugs online within the next year. Now NHS Grampian has voiced concern over the worrying trend, urging people not to take unprescribed medication. Modafinil is a powerful cognitive enhancer, designed to be used for a health condition called narcolepsy – a rare but serious brain disorder that causes a person to suddenly fall asleep at inappropriate times. Ritalin is a treatment for Attention Deficit Hyperactivity Disorder (ADHD). 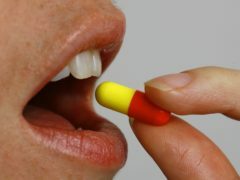 Possible side effects of taking ‘smart drugs’ include the risk of dependence, cardiovascular problems and psychosis. Dr Tara Shivaji, consultant in public health, said: “These medicines may not boost your studying and can put your health at risk of serious side effects. “Medications for the treatment of narcolepsy and sleep disorders are prescription-only medications and should be taken under the supervision of a doctor or other qualified health professional. The MHRA said use of unprescribed medication among students remains prevalent, despite repeated warnings against self-medication.